There is a world out there, just waiting to be explored. 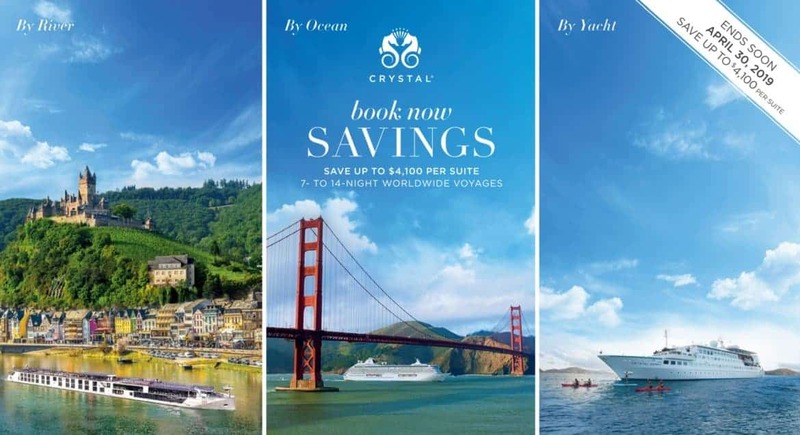 Make the most of your travel experiences on all-inclusive Crystal Cruises with savings opportunities that suit you best. Enjoy these and other ways to save on the cruise line consistently voted “World’s Best” more than any other cruise line in history. Choose the World of Crystal – where luxury is every day, and every day is luxury.